Our fully trained electricians provide residential and commercial electrical services in Woking, Surrey and all of the surrounding areas. Free quotes and consultation are always provided, regardless of the project type or size. Please complete the form to request a call back from one of our electricians in Woking and Surrey. Our electricians in Woking and Surrey focus on ensuring complete client satisfaction by dedicating ourselves to delivering top quality domestic and commercial electrical services. As electricians in Woking, our electrical contractors can travel throughout Surrey to undertake all electrical works. 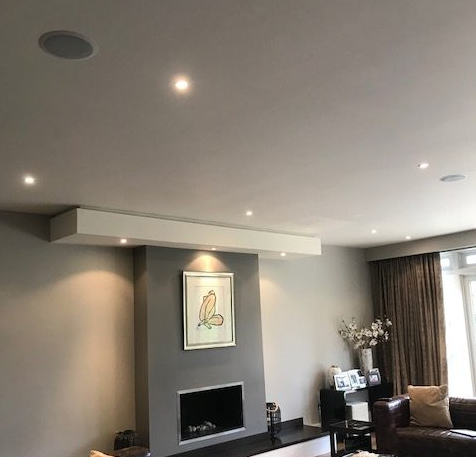 Surrey Electrical Solutions Ltd have undertaken and completed hundreds of residential and commercial electrical projects throughout Woking, Surrey and the surrounding areas. But, why should you choose us? We offer a range of electrical services perfect for all residential projects. Our electricians can help with all aspects of commercial works. Looking for an electrician Woking? Get in touch with our team! We offer all types of new installations. For examples, internal and external lighting, fire alarms, security systems, smoke alarms, consumer units and more. Need to upgrade your current electrical system? Our electricians in Woking offer full rewiring service perfect for domestic and commercial requirements. Our electricians can undertake electrical testing, inspection and reporting services for new builds, old systems, fire alarms, emergency lighting and more. Here at Surrey Electrical Company, our Woking based electricians provide our domestic and commercial customers with electrical repairs and maintenance. Request a free quote if you are you looking for electricians in Woking and surrounding areas in Surrey. We also offer consultations completely free of charge. With lots of electrician contractors in Woking and electricians Surrey to choose from, you're spoiled for options when it comes to choosing an electrical company to work with. Here are a few reasons why we could be an excellent fit for your domestic or commercial electrical project! We are NICEIC approved and experienced in all domestic, commercial and industrial environments. Our electricians in Woking and Surrey are ready to help answer any questions or resolve complaints.